Honest Offer – Give Us Your Closing Date. No Closing! Never Worry About Getting An All Cash Offer For Your Home Anymore. Fast, Easy And Simple! Our Honest Offer Is Waiting For You Today! Right now, you could be cleaning, moving things around, trying to figure out the best way to stage your home by yourself. Or maybe you’re just sitting down, trying to think and find ways on how to sell your home fast. Whatever it could be, if it has something to do with getting an offer for your home, we’re the team you can run to! We have bought a lot of houses in this city and nearby areas already. And that’s not just because we just like buying houses. It’s because we want to help home owners, just like you, to get out of the situation that you’re in right now. 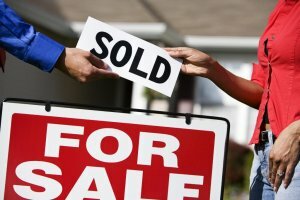 Unlike others who doesn’t really know this market.. We are locals in this area and we can guarantee you that we’re not just gonna make up our numbers, we are professional home buyers here in Houston, and we just want to give you that honest cash offer that you need so you can start new! Are you currently going through divorce? Or maybe you’re facing foreclosure? Or maybe you are a landlord who is just so tired of fixing and doing repairs on the house because of tenants who are not taking care of your property properly? Imagine. These are just some of the many reasons why you’d consider to sell. Even if you have a vacant house that has not been repaired for a very long time, or maybe a distressed house out of inheritance, or a burned down house that you can no longer take thinking what to do about it, worry no more! We buy houses in this city and nearby areas— Whatever the condition is! You know for a fact that agents won’t be able to sell your house fast in Houston that easily..They’ll ask you first to do upfront repairs that you know you won’t be able to do since you don’t have the funds and time to do so. Never worry about anything that you need to clean or repair. We will handle it for you! This is part of our service, that’s for sure! When we say pay cash, we mean it! No need for banks to be involved, we have the cash on hand to complete the sale! We make sure that it’s gonna be a no obligation offer! If you don’t like the offer, no paperwork will hinder you in saying NO. We can close when YOU want to close. This means that you are in total control of the timeline. Give us a date, and we’ll follow that date. Never worry about running the paperwork yourself! We’ll take care of it from start to finish! Guaranteed! We are also local Texans who would love to help out if we can. That is our goal–To make sure that we can give you the help that you need if you have already decided and that if you are already sure if you want to move forward already. When you work with us, you’ll then realize that working with us is fast and easy. You don’t even have to do things yourself, we will make it a smooth transaction. We don’t want to add any headache to you anymore. check out our seller Testimonials. We buy houses throughout Houston, but we don't buy every house that we evaluate. Sometimes we're simply not the best fit and that really is OK with us. But why not at least see what we can offer..
Houston is definitely a place of activities and interesting sights.